Halfway through! As usual, click for a bigger version. The topic was "nature" so I did an windswept winter scene (because it's cold and wintry here). 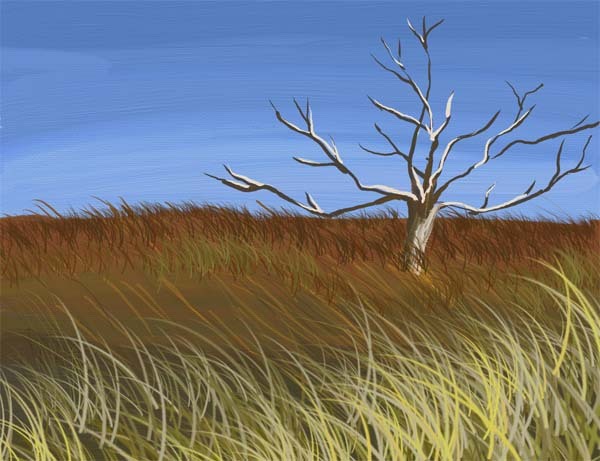 It was another fast one: sky and tree with Artrage acrylics, and because the grass wasn't working at all, good old PS Elements grass brush on top. To paraphrase Vila, cheating's quicker! The topic was "comic character". I wasn't sure if that meant a character from a comic, a funny character, or that I should draw a character in the style of a comic. I went for the last. This is Axl Johnson from The Almighty Johnsons, a local comedy-drama-fantasy TV show I'm bingeing on. His chin isn't that big but it's definitely a feature. He's the one in the middle in this image. 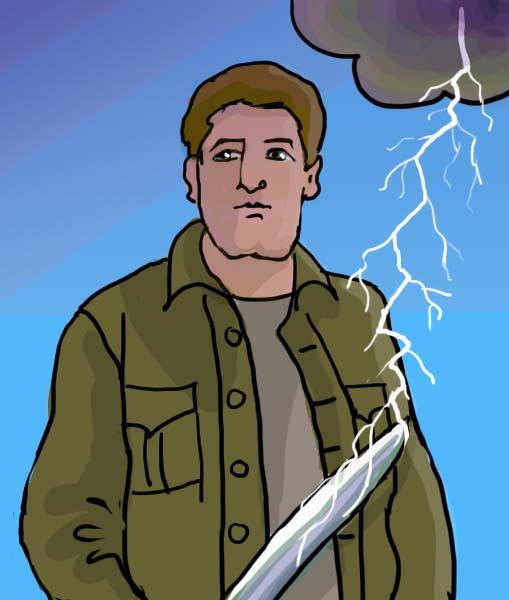 I drew lightning striking his sword because it's something that happens in the first ep, but he wasn't dressed like that. Or at all, actually. 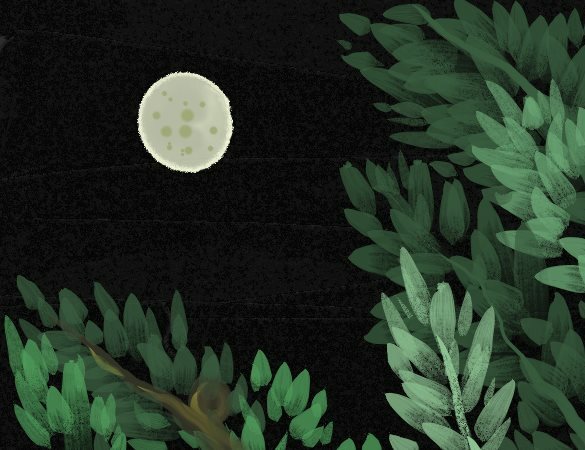 I didn't like any of the three possible topics for today so I did the super moon. I took a photo of it a couple of night ago and the flash went off, giving a nice effect on our lit-up pine trees even if the moon was just a white blob. This is a very quick go in Artrage water colours with dry brushed leaves of an unknown species - no way was I drawing those little needles.